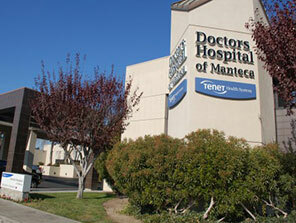 For over 50 years, Doctors Hospital of Manteca has provided superb clinical care to patients in the Central Valley of California. This care is deeply rooted in our belief that our patients expects and deserves to be treated in the same manner we would want for our own families and loved ones. We provide a broad range of services in collaboration with an exceptional Medical Staff, many of whom are Board Certified in their specific specialty. We strive to deliver these services with the highest level of clinical quality, with a sincere and humble appreciation for the critical role we play in the lives of our patients and our community. Thank you for choosing us.